Eaton Manor sits on the north side of LaBrisa and provides easy access to Smathers beach, where you can sail, boat, kiteboard, parasail, walk, run, roller blade and witness the most beautiful morning sunrise. Though Eaton Manor is only seconds away from all the daytime action, Eaton Manor provides peaceful and quiet serenity at night. Relax on the balcony overlooking the salt pond, where beautiful mangrove trees provide refuge for hundreds of species of birds and wild life. Duval Street is only a 15 minute walk or 10 minute bike ride away. While waiting to go out, watch the 52" high definition TV, or enjoy your favorite music. Overall, the unit was pleasant, but there were some maintenance issues, including a sliding screen door that was off track and a broken window screen. The kitchen was adequately set up. This unit is directly in front of the elevator, so we had to keep that window with the blinds closed all the time. The unit was adequately furnished, but it could use an update. The pool was very nice. It would also would have been nice to have a stairwell key, so we didnot need to use the elevator all the time. A major inconvenience was the fact that we had to go to the real estate office to pick up and return the keys. Since we arrived at 11:00 am and could not get the keys until the unit was ready (mid to late afternoon), and since we did not have a car, we had to make arrangements for our luggage, then go pick up the keys, then retrieve our luggage and then go to the unit. This necessitated 4 cab or Uber rides. Either keys should be available earlier or a representative of the real estate agency should have met is at the unit. This is how it has worked in the several VRBO/Home Away rentals we have used in the past...though most were in Europe. Great place, lots of room. Good location to chill either at the pool or across the street at the beach. You even have your own private balcony. A short drive or a bicycle ride gets you to Duval St for all the action. Hello Joann, Glad you enjoyed your stay. Hope you come back and stay again. Hello Tom. Thank you for your feedback. Please contact us and we will be happy to check availability for our other property in La Brisa with an ocean view. Two couples and our first time to KW. We booked pretty late so prices of vacay rentals were $600-1000 per NIGHT! So here’s the deal...if you care about brand new furnishings and designer amenities, forget it! But for about 200 per night this was awesome! The pool and hot tub are clean, perfect temp and lovely. The room and grounds were perfectly clean. Furniture was sa bit tattered but functional and very comfortable. Beds were good. Location was PERFECT for us......beach across the street!! Downtown maybe 10 min away, but we didn’t want to be IN downtown. Security is excellent(no weirdos running around property. Nice people everywhere. Air Cond went bad one afternoon, but mgr had it fixed first and Hong next am. This place is perfectly functional at a good price. Hello Matthew, Thank you for your review we greatly appreciate it. Glad you enjoyed your stay. Loved the location. Close but not to close to Duval st. Gated community. nice pool. Condo was fully equipped with everything you need to cook a meal with if u choose not to dine out. Would stay here again. so nice and quiet. 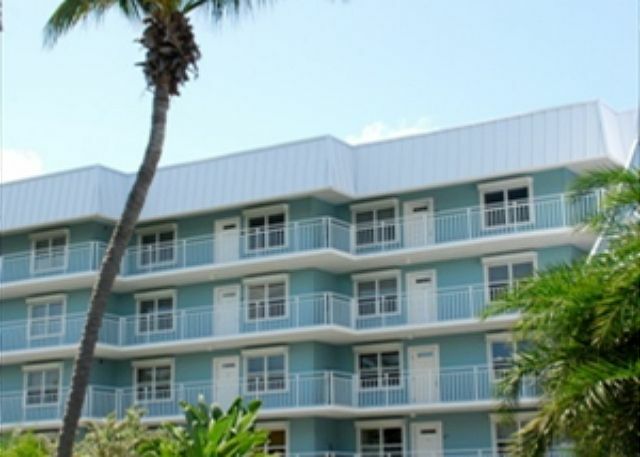 We love staying at La Brisa, being at the beach in Key West is fabulous and the swimming pool is fanfastic- love the fact that it is salt water pool, not chlorine. The unit itself was nothing special. But we don't care much as we are out and about most of the time. Proximity to airport a plus, except if you don't like sound of planes arriving, etc. but it wasn't too bad and the airport quiets down early enough for most. Hello Justine, Thank you for your feedback, we greatly appreciate it. Please come back to stay with us again. We had a wonderful time. A short walk across the street to the beach was a huge bonus. The condo was well-maintained, clean and comfortable. We particularly appreciated having a functional and well equipped kitchen. Hello Michael, Thank you for your feedback. It was nice having you and your family stay with us again in the future. This rental was great for our family of 5. Directly across from the beach. Pool and hot tub was not at all crowded. Easy drive to Duval with street parking every night. Would stay here again! Hello Tessa, We are glad you enjoyed your stay. Come back and see us again soon. Staying in Key West for our family over the Christmas week was way too pricey for us until we found this condo which was reasonably priced. The apartment complex is an older one and a bit worn but was clean. The kitchen was well equipped and the stove/oven looked new. There was a 20-25 minute walk to get to Duval Street but a nice beach was just across the street. There were no sheets for the sofa bed and no beach towels. (Luckily my husband who left the next day brought a sheets and towels from home for us). Hello Cherrie, Thank you for your feedback, we greatly appreciate it and we will look into what you have addressed. I really wished I would have known of this during your stay and I would of addressed it immediately. We are not in the business to inconvenience our guest during their stay. Hope to have you stay with us again in the near future. good location ,quite and confutable unite ,beautiful room. need to up great Wifi Router cause can got in but nothing to through in. Hello, Thank you for your feedback we greatly appreciate it and glad you enjoyed your stay. The router may of just needed to be rebooted I would have taken care of that for you during your stay. Hope to have you stay with us again in the near future. Great location, little outdated but well worth the price. Fixed the washer same day we called to complain. Would stay again. Becky was very nice and helpful. Hello Clarence, Thank you for your feedback we greatly appreciate it. Glad you enjoyed your stay. Hope to see you again soon. Grounds well kept and pool clean and inviting. Enjoyed Salute Rest and Beach would def recommend this spot to friends and family. Furnishings could use updating otherwise no worries no problems all was most enjoyable cant wait to be back. Verlene F from Odessa, TX does not recommend this vacation rental. We had a wonderful vacation in Key West. The condo was pretty nice. More like a small apartment. Not much of a view but we were always on the go and did not hang much at the condo. You definitely need a car if you stay at this condo - too far from the main area of Key West to bike or walk. Over all loved everything about Key West!!!! Hello Verlene, Thank you for your feedback we greatly appreciate it. Glad you enjoyed your stay. Had a great time and was nice being across the street from the beach. Rental company was accomodating and professional! The only negative remark I have is that the furnishings could be updated some. Hello Vicki, Glad you enjoyed your stay. Thank you for your suggestion and I will pass it onto the owner. Hope to have you stay with us again. We enjoyed the location of the condo. We could walk or ride bikes on S Roosevelt with gorgeous views. There were a few resturants/bars within walking distance. The La Brisa's amenities: pool, whirlpool, grounds were excellent. Our condo was very airy, it had new bedspreads, towels, mst bedroom chairs and dinning room table. There are a few Mnt Items, such as light bulbs, which need to be replaced. Hopefully they will be completing more updates over the next few months. Hello Sally, Glad you enjoyed your stay. As per our conversation upon check out we would of been happy to address the bulbs and any other suggestions during your stay but thank you for letting us know we greatly appreciate it and have addressed it. See you again 2015! The unit was well equipped! The sliding blinds need to be repaired between the living room and the porch. Hello William, Thank you for your feedback we greatly appreciate it and will address it. Glad you enjoyed your stay and hope to have you stay with us again soon. We stayed for a week during Fantasy Fest and rode our bikes all over the island. We loved riding home at night and stopping at the beach which was right across the street from the condo to enjoy the evening breeze. The condo was a good size for a 2 bedroom 2 bath unit and was very quiet all week long. The pool, clubhouse, hot tub and tennis courts were fantastic. Had a great time here. Overall the condo is very nice. Towels and sheets could use an update along with all of the kitchen amenities. Mainly pots, pans, silverware etc. overall the place worked out great. Thank you for your feedback and we do appreciate it, we will address your suggestions. Thank you again. It was a great vacation. We did not rent a car so we did a lot of walking. It is about 2 miles to Duval st. We would walk to Duval in the morning and spend the day eating, drinking, and listening to some really good music. We would cab it home. The pool area at the condo was really nice and there is a huge hot tub. One really noteable thing is how helpful and friendly the full time residents are. When we go back to Key West this is where we will stay. Our condo was is very nice condition and everything was clean and functioning. The security gate and the key to go up in the elevator made us feel extra safe in the complex. The pool and hot tub area were kept very nice and the heated pool was a big plus. Being right across the street from one of the nicest beaches on the island and close to downtown was ideal. Checking in and out was quick and ran smoothly. Our garbage disposal was clogged and they sent someone right out to fix it when I called. Thank you for a super place to stay!!! Hello Lea, Glad you enjoyed your stay, hope to see you and your family again soon! We really loved the location, [ot of town so we didn't have to listen to the roosters all the time. The beach right accross the street was fantastic. The ocean aroma took a little getting used too but that was mother nature. We got in and out of town on scooters, parking didn't seem to be a problem at the complex. Every body doing their own thing at their own pace. La Brisa was very nice, private atmosphere. We we pleasantly surprised with what all La Brisa had to offer. After 1 week we did not want to leave. We would very much like to stay in the North building again. Location and grounds were great. Becky was very easy to work with when we needed her assistance. Unit is in need of some TLC. It was clean but appliances and furniture were dated. Some electrical switches seemed to operate nothing. Would return to this area again but would have second thoughts about this unit. Great location and property was in great location and had all the amenities you would want. We were extremely pleased with our accomadations and location. We were very impressed with how well the property was maintained, especially around the club house. We also were extremely pleased with our Broker Jaime who went out of her way on several occassions including finding a bolt cutter when we encountered an issue with one of our bike locks. The oven and microwave were a bit outdated in the kitchen and the refrigerator on the patio didn't work, but overall we were very pleased. We also enjoyed the pool area and liked that it was open 24 hours and the beach was only a short hop across the street and we could ride our bikes into town. Everyone we met were also very pleasant and sociable. We can't wait to come back and will bring our tennis racquets next year!